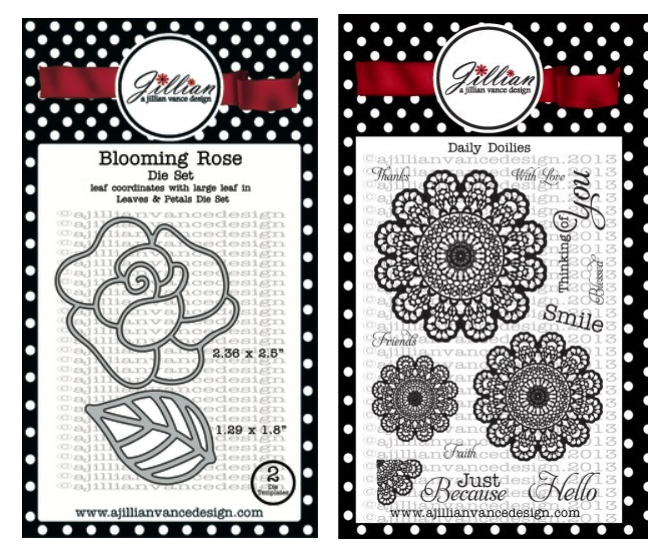 Blooming Rose Die Set and Daily Doilies Stamp Set. How pretty is this new Blooming Rose Die Set. So many fun ways you can use this set. 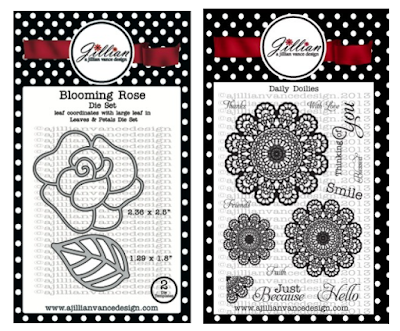 You can mix all sorts of fun patterns with the new Blooming Rose Die Set. Makes for a pretty card... don't you think? Head on over to the A Jillian Vance Design online store HERE to see what's new. Lot's of fun stamp sets and dies to make for happy crafters. What a beautiful card Annette!!!! This is so pretty, Annette! What a lovely card, Annette; it can be used for so many reasons! What a SWEET and LOVELY design! Fabulous job, Annette! Lovely card Annette! So pretty!